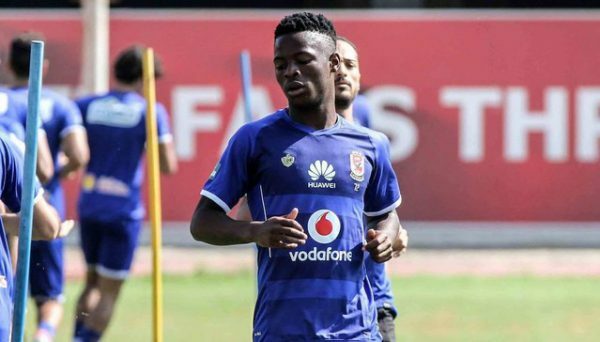 Phakamani Mahlambi training with Al Ahly teammates. Mamelodi Sundowns are set to miss out on Al Ahly forward Phakamani Mahlambi. This comes after Al Ahly included the 20-year-old forward in their 33-man final squad for the upcoming 2018/19 season. The Egyptian giants were considering releasing Mahlambi on loan, but following Junior Ajayi’s injury, they made a U-turn and decided to keep the Bafana Bafana youngster. Meanwhile, former Bidvest Wits striker Amr Gamal and Amr Barakat have been put on hold as they are close to departing the club during the current transfer window.